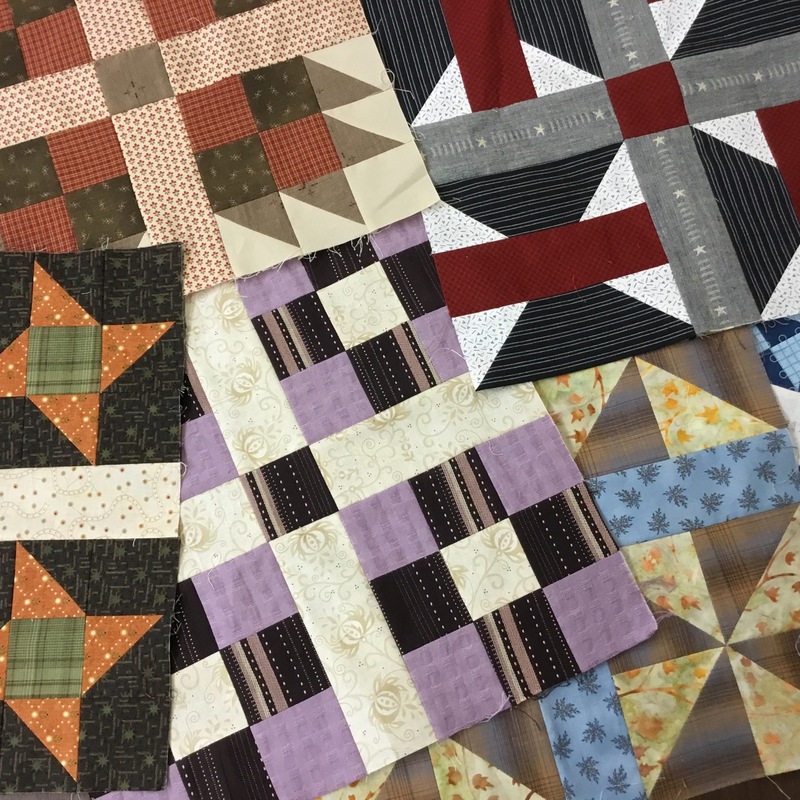 With the start of a new year and the cold winter weather encouraging more indoor activities, quilt shops and sewing centers have been busy creating fabulous things with fabric! 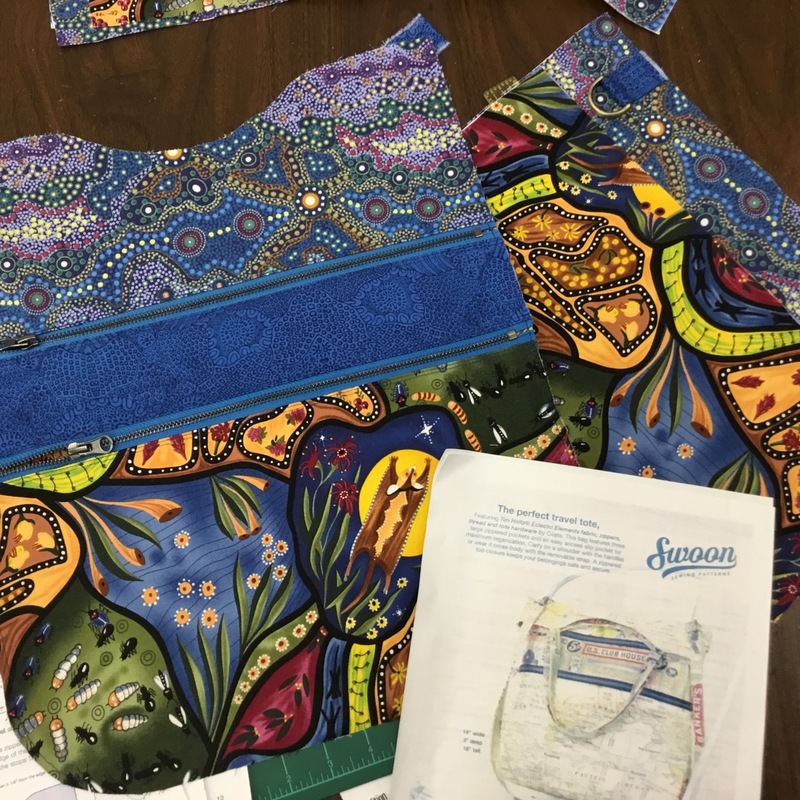 In my recent travels, I saw many inspiring projects that shops have in the works for upcoming classes, kits and samples. 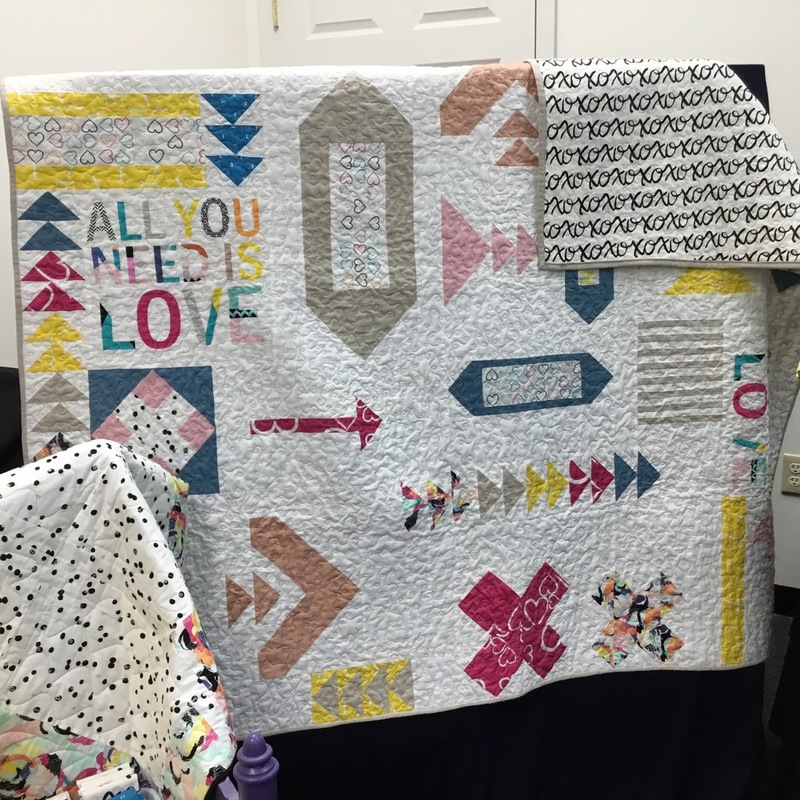 Jeanne at Stitcher's Playhouse paired a box of Art Gallery Color Masters fat quarters with a background fabric. 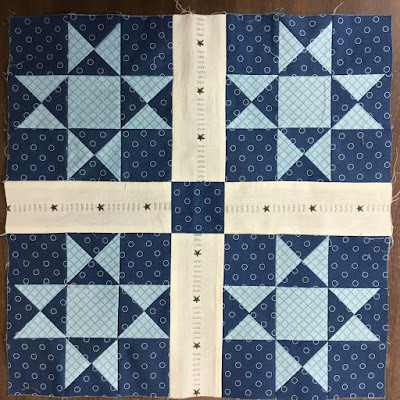 She used the classic Jacob's Ladder quilt block—a combo or 4-patches and half-square triangles—in a solid setting. An interesting positive/negative effect. 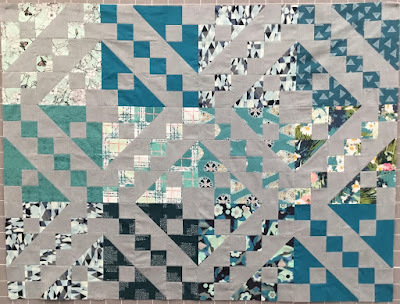 Jacob's Ladder block made with Art Gallery fabrics. Go ahead... mix yarn-dyed wovens, printed cottons and even batiks... in the same quilt block! 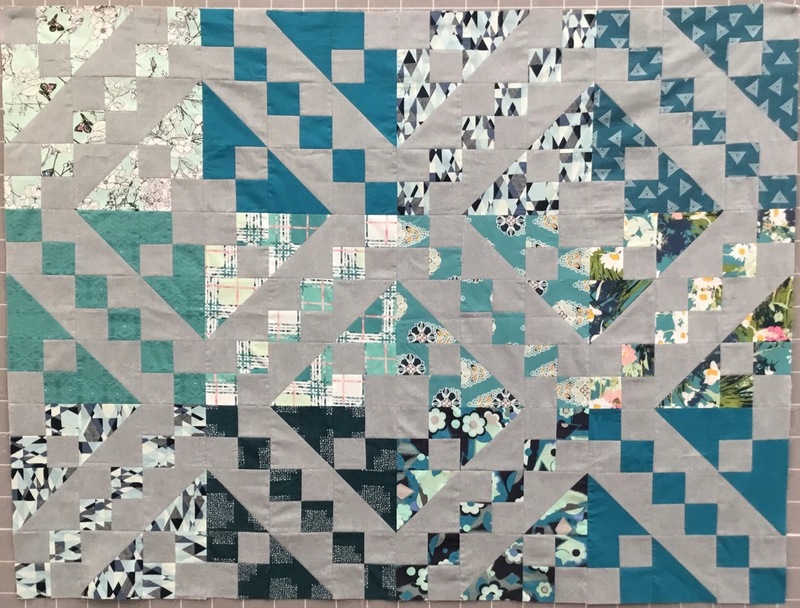 Margaret at Quilt Connection is assembling 14" sampler quilt blocks with Diamond Textiles' yarn-dyed wovens and printed cottons. One block even combines a yarn-dyed plaid and a batik! The randomness of the stripes in this yarn-dyed woven keeps your eye bouncing around this block. 14" sampler block at Quilt Connection. 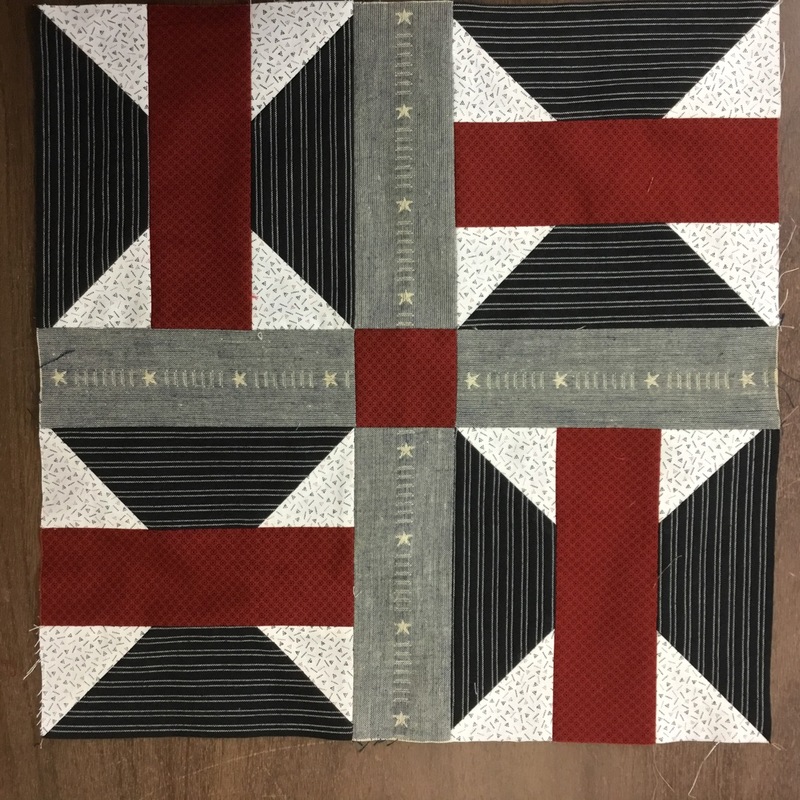 In this block, the Primitive Stars fabric in the sashing complements the Ohio Star units. 14" Ohio Star sampler block. This is probably my fav. It combines Primitive Stars (the sashing) and a black striped woven. The rotation of the 'butterfly' units cause the stripe to go in vertical and horizontal directions. 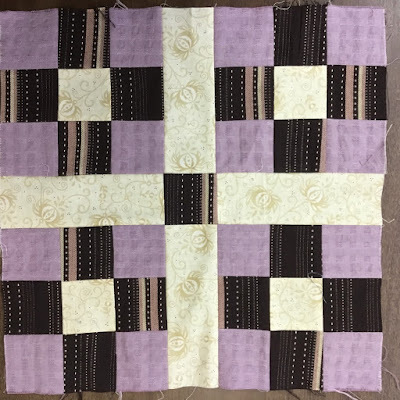 This block features two yarn-dyed wovens from Diamond Textiles. Debbie at Calico Rose is making the Swoon Expedition Travel Tote using M&S Textiles Australia. It's got at least two zippers and a bunch of pockets. This is going to be a stunning bag when she finishes! Calico Rose has a great selection of M&S Textiles fabrics and pre-cuts—with many more on the way. 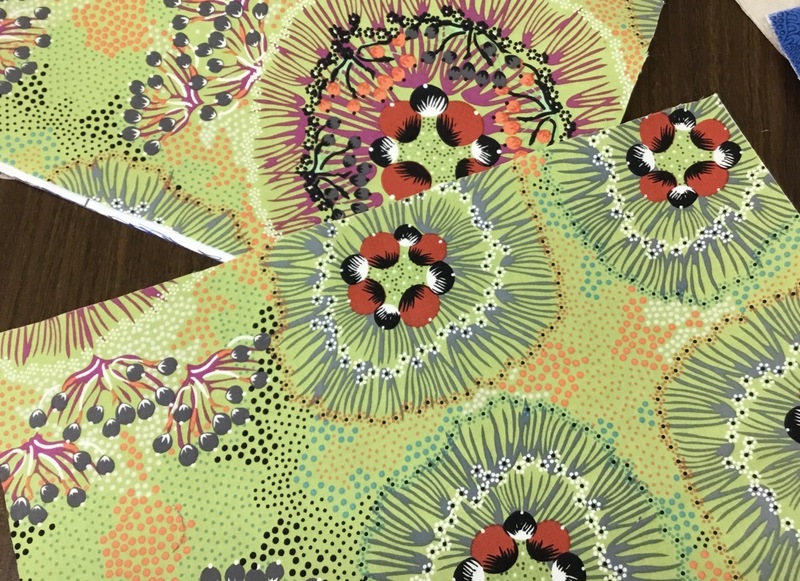 Debbie chose this M&S Textiles print—Bush Plum—for the lining. Bright, colorful and exciting! Bush Plum design from M&S Textiles Australia. 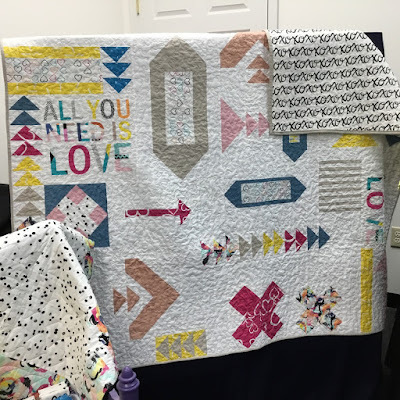 I caught one of the Sew Special sessions at Sew Many Ideas where Juls announced the shop is offering fabrics, kits and a class on this SignAge quilt from Art Gallery Fabrics. The XOXOXO fabric on the back is an Art Gallery fabric from the Letters Capsule collection. Perfect for Valentine's Day—or any day when you need to spread a little LOVE. Sign Age Quilt at Sew Many Ideas. 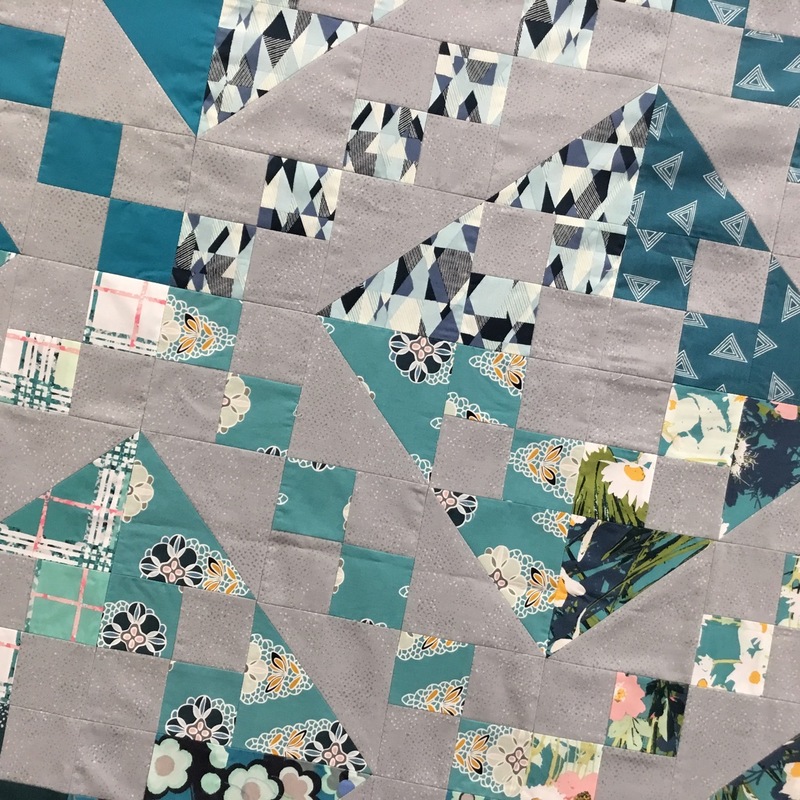 Coordinating fabrics in the quilt from the Art Gallery Denim Studio are also available at Sew Many Ideas. 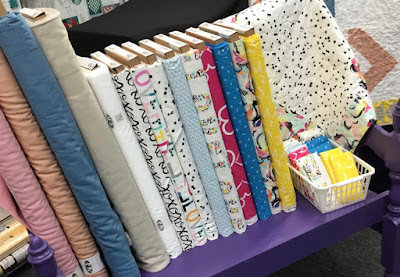 Letters Capsule collection from Art Gallery Fabrics at Sew Many Ideas. As for me and my projects... I'm plugging along on my Make Nine 2019 list and the Farmer's Wife sampler blocks. And the inspiration I saw at these quilt shops gets me excited and charged up about making! What project are you excited about today??? Contact any of these quilt shops or visit YLQS [your local quilt shop] and take a class, pick out a new project, and get excited about creating something beautiful and fun with fabric.